Bizarre Cabinet reshuffle from the Reverend Rees last month. The highlight of which was a BLATANT LEAK to the press of his decision to fire his Labour rival for Mayor and transport chief Mark “LAME DUCK” Bradshaw days before the official announcement. Quite what the Reverend and his PR point man Kevin “Don’t mention the private school education” Slocombe thought they might achieve by publicly firing Bradshaw is anyone’s guess. Maybe it boosted the pair’s FRAGILE EGOS and helped them feel like they were actually in charge of something? The Reverend also took the opportunity to PROMOTE his close friend, hapless incompetent Asher “The Slasher” Craig, to Deputy Mayor alongside yes-man Craig “Crapita” Cheney, the cabinet’s overpromoted finance man. 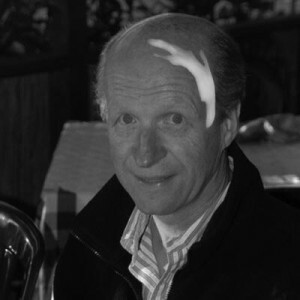 Slasher’s promotion came just days before another LEAK to the press appeared. This one claiming Close-It’s enormous £5k council tax DEBT, run up over a number of years and still outstanding when she was elected councillor last May and promoted to Cabinet in the autumn, was paid off by the local Labour Party! The LEGALITY of any of Slasher’s financial decisions while having an undeclared debt with the council is being carefully studied. As is her new portfolio extended to include public health and public transport alongside her existing and disastrous responsibilities for demolished kids’ playgrounds, collapsing Neighbourhood Partnerships, underfunded leisure centres, closing libraries, decaying community assets and up-for-sale parks. “Even those on the right wing of the Bristol Labour Party think she’s A TORY!” is how one insider described Slasher to us recently. Meanwhile, the Reverend is taking on PERSONAL RESPONSIBILITY for the ongoing Arena non-appearance project and for elements of the TRANSPORT brief, particularly congestion. Effectively splitting responsibility for the city’s difficult and badly managed transport brief between himself and useless Asher the Slasher. Of course, neither have any EXPERIENCE whatsoever of transport. The Reverend and Kevin “Don’t mention the private school education” Slocombe are desperately touting this reshuffle as a “CONSOLIDATION OF POWER“. However, the press leaks; the Reverend’s new responsibility for two poisoned chalices and the promotion of an idiot – Asher the Slasher – look more like an administration UNRAVELLING. 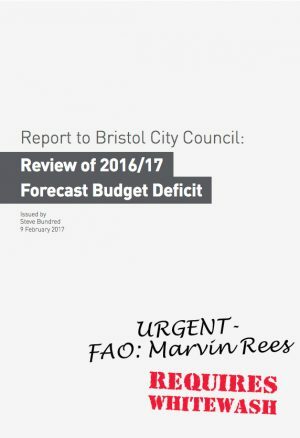 This entry was posted in News and tagged Arena, Asher Craig, Bristol City Coucil, Cabinet, Congestion, Council Tax, Craig Cheney, Debt, Kevin Slocombe, Mark Bradshaw, Marvin Rees, Reshuffle, Transport on May 14, 2017 by thebristolblogger.